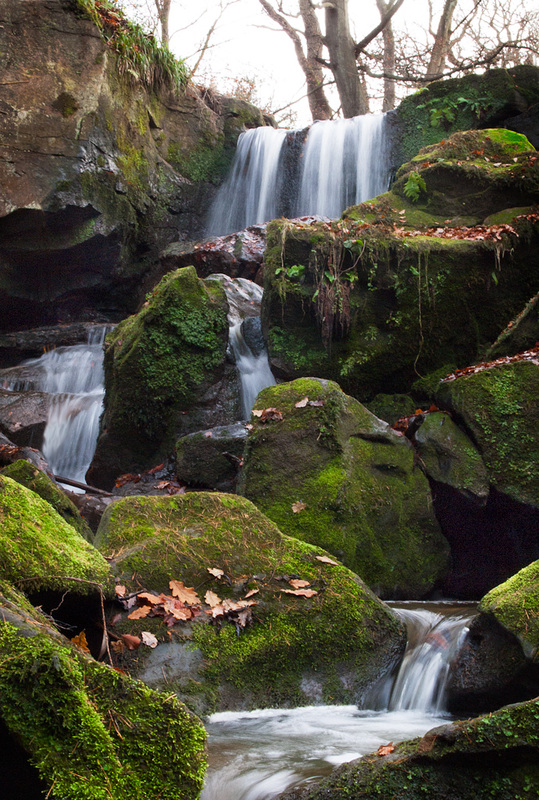 Out walking last Sunday, making photo’s of the beautiful but small waterfall between Burnopfield and Hamsterley Mill. It was a dull day and not a lot of light around. Better to test some long exposures. Sprained my ankle for the effort. On the mend. A little Photoshop was needed to bring out the best.